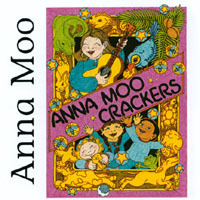 Anna's first award winning CD. Songs to get you up and going in the morning! Includes: You Are My Friend, If I Were A Kite, Shake Your Bootie Whootie! 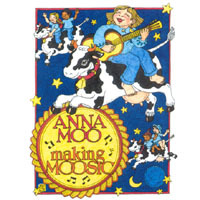 Best selling CD of Anna Moo's! Songs about animals, Florida, and all things bright and beautiful! on this rocking fun CD! Holy Songs for Children! A multicultural, non-denominational celebration of friendship, God and Spirit. 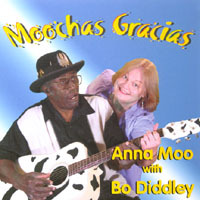 Songs are in Chinese, Spanish, Greek, Swahili, Hebrew...all with refrains in English. This jazzy Christmas release will have everyone in the holiday spirit! 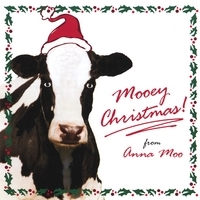 Songs include: Jingle Bells, Santa Got Stuck!, Go Tell It On The Mountain.